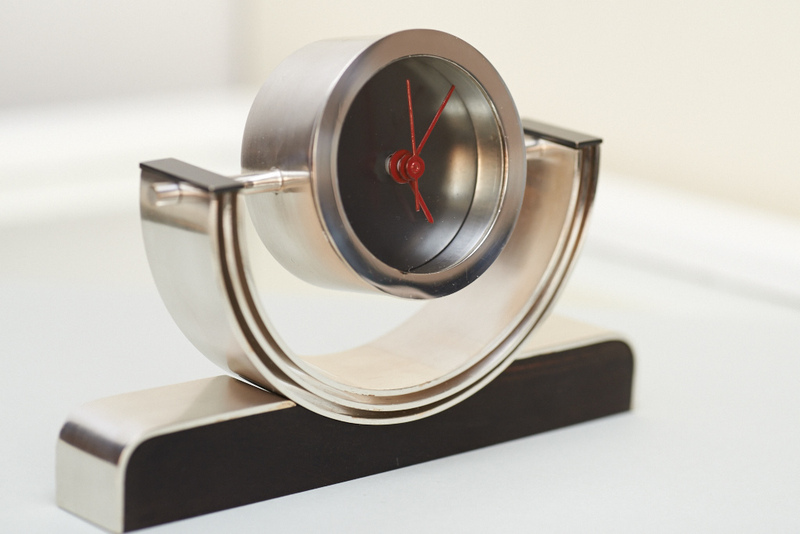 his clock was created as a wedding gift from sister to sister. Guidelines from the client forged the creation of something vintage, traditional but with a visible, fresh, young touch that is visible every day. The idea that this piece should be a clock came to Alex very quickly but the process of creating this category of jewellery was new to her. She used the Art Deco period as her inspiration where old design meets new. A gorgeous and perfect Sterling silver plate was used to build the case of the clock, and hands of were carefully painted in red to give the piece a breathtaking finish. To make the clock base Alex chose rare ebony wood which was very popular during the Art Deco period and adds and unsurpassed and elegant finish.